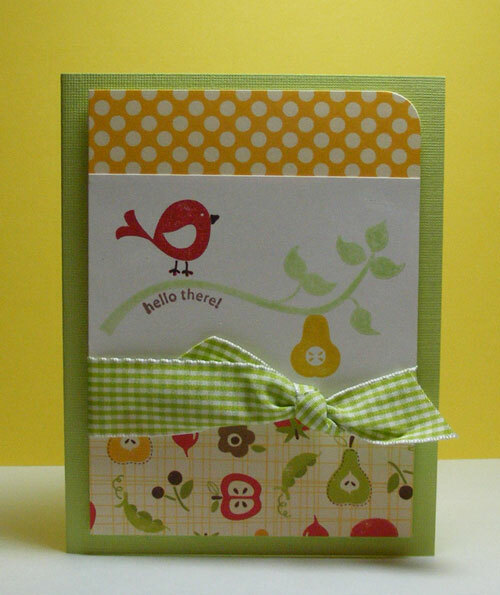 One of the great things in my Two Peas package yesterday was the 8" x 8" Farm Fresh paper pad from October Afternoon. These wonderful designer paper make you think of that perfect farmhouse kitchen with the brightly painted cabinets, deep ceramic sink and old pine table in the center of the room. 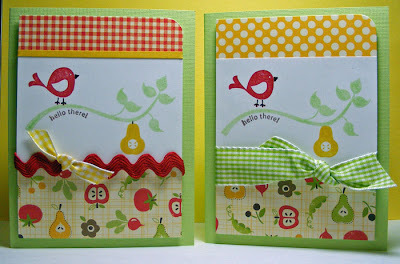 I love how they combined perfectly with the Cheep Talk set from Stampin' Up! I haven't used this set nearly as much as I'd like. 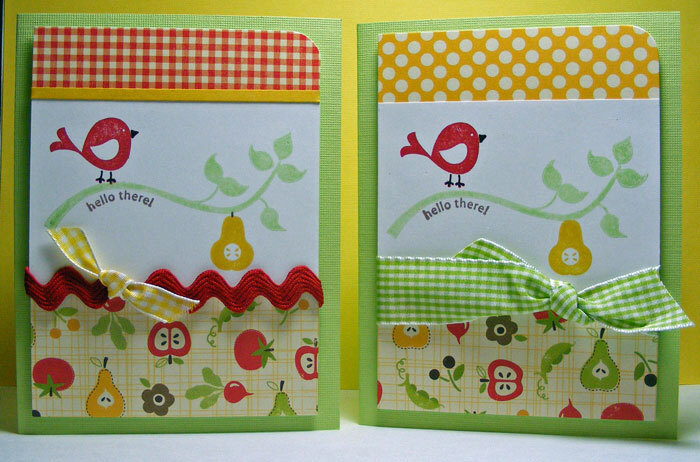 With the stamping exactly the same on these two designs, I just altered the companion paper and ribbon choices. Ingredients: Stamp Set: Cheep Talk by Stampin' Up! 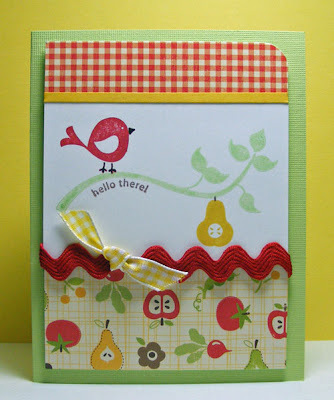 Love the paper, LOVE your wonderful cards and love your description of a farmhouse kitchen. It reminds me of my grandmother's kitchen from years and years ago.